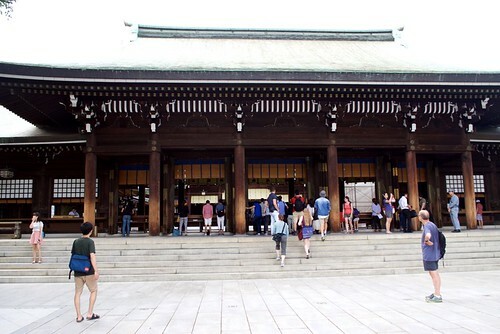 The Meiji Jingu shrine, located in Shibuya, is one of the compulsory shrines to visit if you go around the Yoyogi-Harajuku area. Dedicated to the spirits of Emperor Meiji and the Empress Shouken. 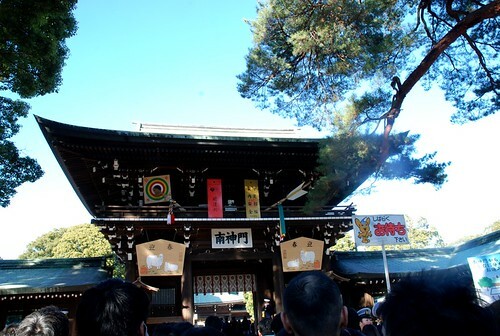 Built during the first quarter of the 20th century, it was destroyed during the Tokyo Air Raids of World War II, and reconstructed in 1958. 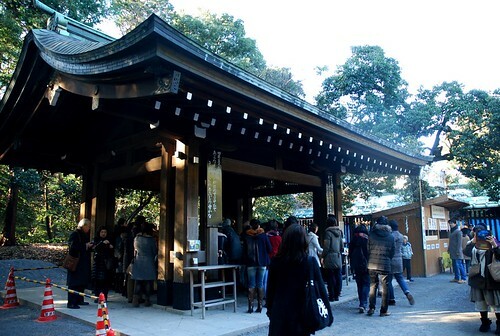 One of the most beautifullly surrounded shrines in Tokyo, in the heart of a forest in Yoyogi area, the walk through the forest to the shrine is both inspiring and relaxing. 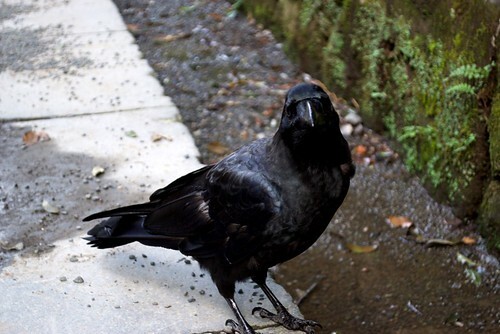 Ridiculously photogenic crow, just for me. 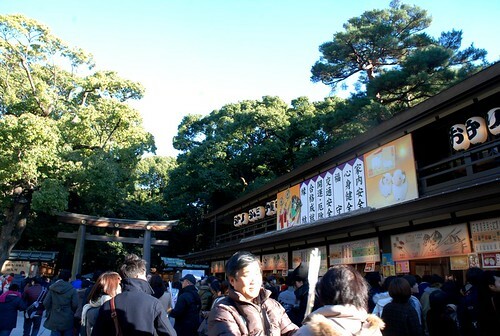 Purify yourself with water before entering the shrine complex. 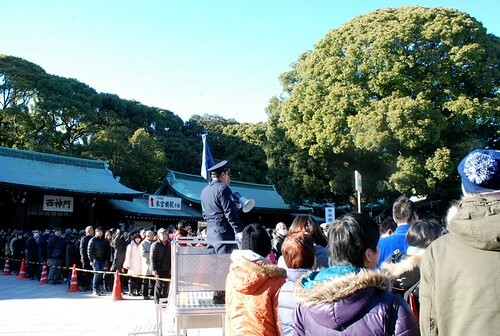 On some holidays can get really crowded, Meiji Jingu, Tokyo. 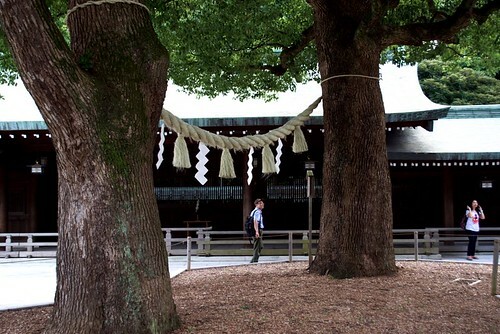 Shimenawa, rope tied to trees for purification, shinto religion. 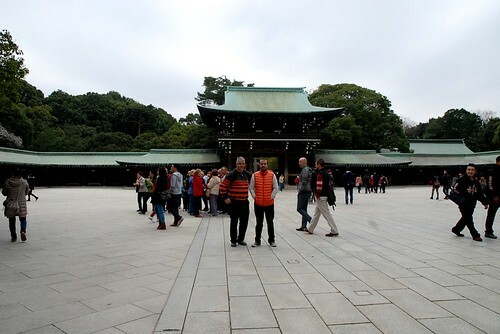 Meiji Jingu, Tokyo. 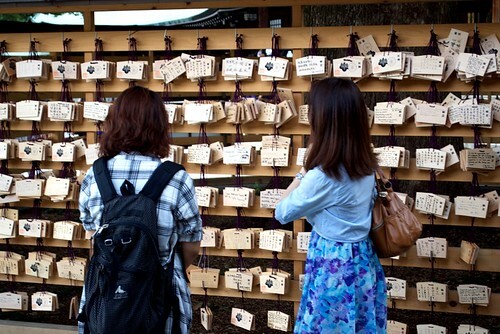 Ema plaques for writing down your wishes. 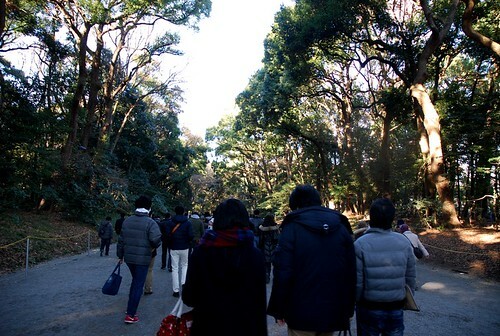 Meiji Jingu, Tokyo. Like father, like son, blazing orange. 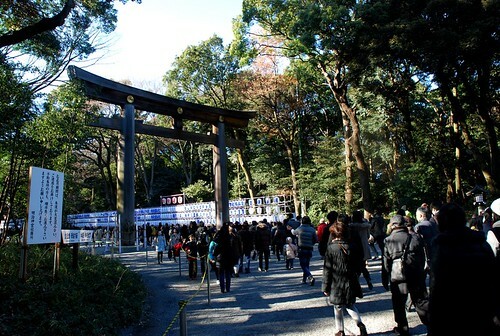 If you plan on going to Meiji Jingu, then the recommended tour would be walking around Harajuku, but I’ll talk about it on next updates.